Jane Wells Schooley is a founder and co-owner of Dutch Springs and Northstar Team Development, a company whose mission is “transforming leaders and teams experientially.” In 2017, she launched a new division called Northstar Women Leaders to address the current talent shortage by developing, encouraging and supporting women in their leadership journey though group coaching, onboarding programs, executive coaching, and leadership master classes. Her clients include such companies as People First Credit Union, Vanguard Financial, Julabo USA, Victaulic, Wacker Polymers, H.T Lyons, B Braun, PBS 39, Discover Lehigh Valley, Rea.deeming Beauty and more. Wells Schooley is known as an advocate for people, particularly women and children both in the US and internationally. Locally, she is a mentor and friend to 25 refugee children who live in the Lehigh Valley with their families. She has served as a volunteer Mentor for women leaders through the Chamber’s year-long Women2Women Mentoring Program from 2015 through 2017. In 2017, she was the recipient of the national award from the Points of Light organization, The President’s Volunteer Service Award. 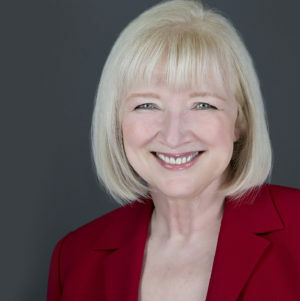 Jane has her Bachelor’s and Master’s degrees from The Pennsylvania State University and her international coaching certification from the International Coach Academy in Australia. For excellence in business, she received the Athena Award from the Chamber of Commerce, the Woman of Influence Award, and the Lehigh Valley SUITS Award in Human Performance Management from the United Way of the Lehigh Valley.